Southwold Beach is as British as it can be, much loved by residents and visitors alike for hundreds of years. It is the jewel of Suffolk, and the perfect holiday destination for families and visitors, young and old. While the beach is without a doubt the main attraction, food and drink are also huge draws and a part of the whole experience. The beach and its picturesque promenade with colorful huts will enthrall visitors to this small seaside town. The beach itself has won the “Blue Flag” award many times, a testament to the golden sands where everyone has fun. Beyond that, the 118-year old pier is known all over the country. Over the years, it has been repeatedly damaged by both storms and the war but has been recently restored to all its former glory. It is truly one of the highlights of the trip here. More than just being a major landmark, it is also filled with little shops and restaurants, as well as places for amusement. The Promenade is not just for strolling on the beach, it also acts as a defense against the sea. In 1953, strong and high tides devastated the Piers amusement arcade. With the Promenade in place, as well as the concrete seawall in front of town, it is now fully protected from the sea. Back in the 1900s, Southwold beach was known for the high-wheeled bathing machines. Now it features the colorful beach huts lined up along the beach. This allows visitors to enjoy the peace and quiet by the sea. Other places of interest include the busy Harbor and the still-functioning Lighthouse. Tours are available for the latter. If you are also huge on beer, make sure you check out the Adnams Brewery, winner of Brewery of the Year in 2011. Located in the middle of town, brewery tours are also offered and their beers can be enjoyed all over town. Southwold is a seaside town belonging to the Suffolk Heritage Coast. Interestingly, it is almost an island, because it is surrounded by the North Sea on the east, the River Blyth on the southwest, and the Buss Creek on the north. If not for the one road going in and out of Southwold, it would be cut off from the rest of the country. Despite this, getting there via public transportation is possible, with train and bus connections available all the way to London and other cities like Cambridge and Norwich. There are also train services across the Suffolk Coast, operated by Greater Anglia. Tourists coming by car will also find adequate parking options close by. There are also tons of accommodation options for visitors, from self-catering houses and cottages to bed and breakfast establishments. Camping and caravan sites are also available near the harbor. Once you have settled in your accommodation, you can easily walk around town and to the coast. Southwold Beach is the perfect picture of the quintessential British beach holiday, and it certainly retains much from its long history. 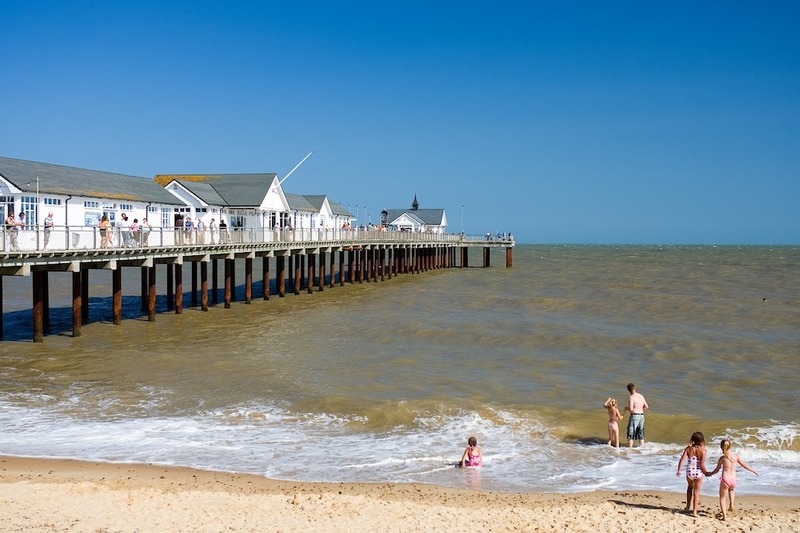 Whether you are looking for a vacation idea for you and your kids or simply looking to enjoy the beach, Southwold Beach is a perfect choice.